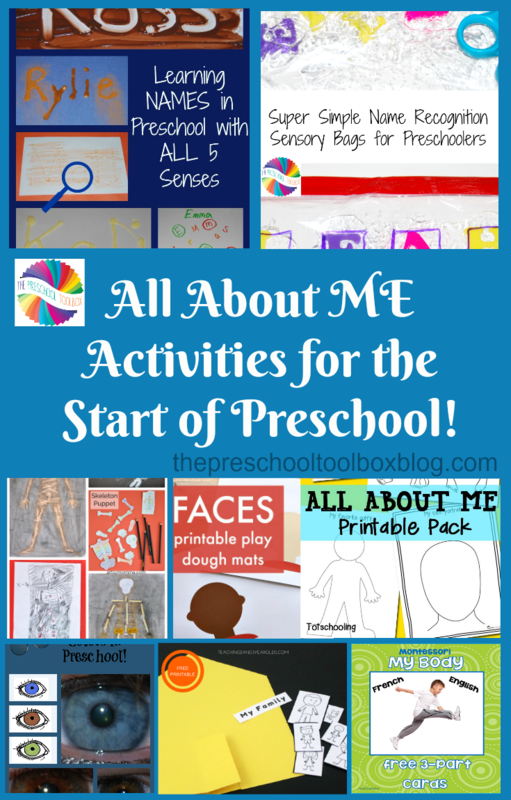 All About Me Activities for the Start of Preschool! Preschoolers absolutely love talking about themselves and their families. Learning, observing, playing, and creating with an ALL ABOUT ME theme is perfect for the beginning of school. It allows kids to get to know each other better while allowing teachers and caregivers to know a little more about their students, too. Come learn and play with us as your own preschoolers get back to school. Printable play mats for use with play dough will help preschoolers design and celebrate all appearances and styles – free to print and play. My name, age, and hand print; my favorite color & favorite food; my eye color & hair color; my self-portrait; my favorite outfit; and my family portrait. Assist your own preschoolers in learning their name through the senses of: sight, taste, hearing, smell, and touch. Helping preschoolers think about what makes them special is FUN with a special hand print craft kids can display at home or in the classroom. Preschoolers love to learn everything about themselves. The All About Me Handprint book can be made and then “read” to family and friends. It’s a perfect way for preschoolers to learn and celebrate individuality. Explore the concepts of x-rays and a skeleton with these FUN activities for playful learning. What is the brain and what does it do? Simple science activities for preschoolers can help them find out. This sensory learning activity helps preschoolers learn the letters in their name with sensory manipulation. It’s fun (and soothing). Learn a little more about each of your students (or your own child) with this free printable pack. Kids can draw members of their family, household pets, play with matching cards, and so much more. It’s free to print for playful learning booklets or centers at school. This is an awesome Montessori-inspired activity for learning about body parts. The set is free to download and comes in both English and French. Go print for a great center activity for learning ALL ABOUT ME. Free printable pack and sensory activity suggestions to help your own preschoolers learn about eye colors. Check out all 30 suggestions for books to accompany your ALL ABOUT ME playful learning activities whether at home, in childcare, or in the classroom. Use mirrors to learn about body parts and really look at each other. Preschoolers can gain awesome insights simply by looking at themselves, peers, or family members. Create a fun family portrait with simple supplies. Crafts and family printable activities provide insights for preschoolers to learn about themselves. Try some of these fun activities with your own kids. Free printables will help preschoolers learn their birthdays, favorite colors, and foods as they create. This is a FUN, yet simple, geography activity for helping preschoolers learn about where they live: city, state, nation, continent, and world. Preschoolers LOVE to talk about their families and themselves. Create this simple family book for your preschoolers to share with their peers in the classroom or at childcare. Simple activities often provide powerful learning. Try this activity with your students and see what they do know about their own bodies. We hope your own preschoolers enjoy learning with ALL ABOUT ME activities. To each and every one of our colleagues, we wish you a great start to a new school year. Your kids might also enjoy other theme based activities this year. All thematic units are immediate digital downloads ready to print and play. 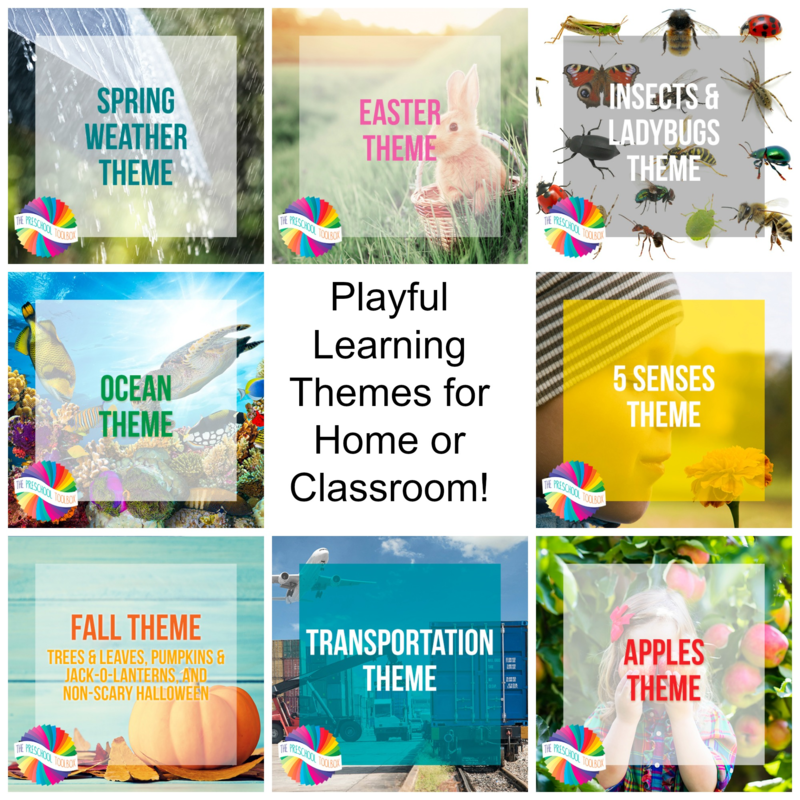 Suggestions in each theme are given under the following categories: introductions, songs/fingerplays, literacy, math, science, art/craft suggestions, gross motor, dramatic play, and an extensive book list. Power Points and All Printables are included within the zipped file. Note: Mobile users should download one of the free apps from iTunes or the Google Play Store before purchasing to unzip the file. A pdf reader is also necessary. « Rocket STEM/STEAM, Crafts, and Playful Activities for Kids!